WELCOME to the website of Linda Baumgarten, specialist in the early history of textiles and costumes. For 39 years she held the position of curator of textiles and costumes at the Colonial Williamsburg Foundation in Williamsburg, Virginia. 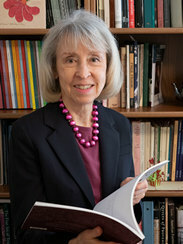 Linda is the author of four books and co-author of another. What Clothes Reveal, The Language of Clothing in Colonial and Federal America won the Millia Davenport Publications Award from the Costume Society of America. In 2014, Linda teamed with longtime colleague Kim Ivey to produce Four Centuries of Quilts, The Colonial Williamsburg Collection . Her most recent book is an adult coloring and pattern book, with designs adapted from quilts and quilted clothing. In her retirement, Linda continues to lecture, research clothing and quilts (especially Amish quilting), and draw quilt patterns using Computer-Assisted Design technology.